The Londonist Quiz Boat departs at 7pm sharp on Friday night. And you've got to be on it to be in with a chance of winning the latest Londonist-Pub-Quiz-Not-Held-In-A-Pub*. From Westminster to Thames Barrier and back, quiz boat captain and Londonist editor-at-large Matt Brown will test your London knowledge and observation skills with 50 fact-tastic questions based on the passing scenery. 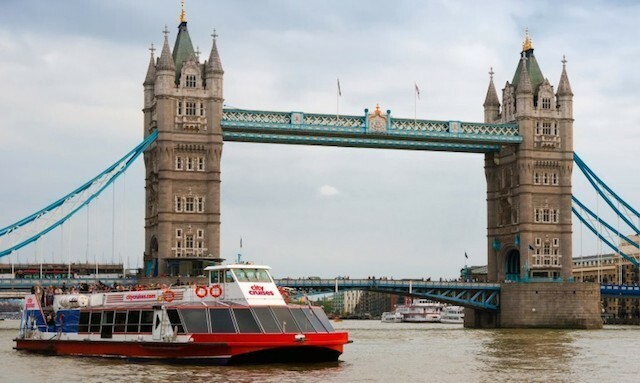 The winners can divvy up a London-themed goodie bag and everyone can enjoy a two to three hour cruise along the river with a pay-bar, snacks, a cavalcade of London trivia and Londonist contributors on hand to help you when your pen runs out and tell you where the toilet is. The quiz takes place on Friday 12 September departing from Westminster Pier at 7pm and returning around 10pm. Tickets are £15 per person. We recommend teams of four as that’s the size of the tables on the boat but singles and couples are also welcome — we'll team you up with other people as necessary. Londonist quizzes are always popular so book your team in now: go to City Cruises website and click the ‘Experiences’ tab. Then select ‘Totally Thames Quiz on a Boat’ from the drop down menu. See you on the river! We're also hosting a fab weekend of Thames talks aboard Dazzle ship, HMS President on 20-21 September. There are six fascinating events to choose from and a lovely bar on the boat to boot. Londonist is proud media partner to Totally Thames. *Previous quizzes have been held in a book shop, a surgical museum, a scientific institution, a pop-up mall and a football stadium.